Day by day, new smartphones are launching in India. Smartphones are like a lifeline of human now-a-days. So, it's too difficult to choose the best smartphones in any category like budget category , mid-range category or flagship category. But you don't worry, I am here to help you in purchasing the best phone if you are searching a budget smartphone which costs below Rs 10,000. 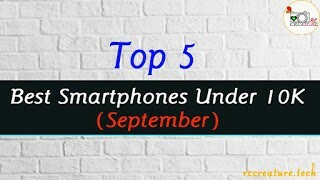 In this article, I have explained all details in brief like specs, features, and price of the best top five android smartphones which are available in India right now ( September) . You just scroll down this page and watch only the bold letters to acquire the main knowledge about the best android phones under 10k. 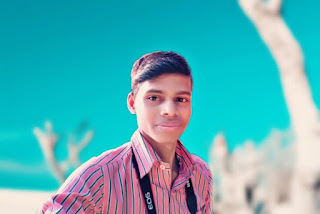 And here, I have only listed 5 smartphones ( RealMe 2 , Redmi Y2, Honor 7C, Infinix Hot 6 Pro & Redmi 5) which are the best phones in Indian market. Then, let's scroll down this page now !! This smartphone has a 6.0 inch HD+ display. This phone comes with Snapdragon 625 with octa core processor. This has equipped with dual rear camera of 12 MP primary and a 5MP depth sense camera. And in front, it comes with a 16 MP camera with flash light. Its battery packed with 3080 mAh which backs up a full day . Its Android operating system runs with Android Oreo . Luckily, it has face unlock and fingerprint unlock at back side . It has a 6.2-inch (1520 x 720 pixels),18:9 FullView display with Corning Gorilla Glass 3 protection . Its processor is 1.8GHz Octa-Core Snapdragon 450 with 14nm Mobile Platform with Adreno 506 GPU . It comes with two variants i.e, 3GB/4GB RAM with 32GB/64GB storage . It runs with ColorOS 5.1 based on Android 8.1 (Oreo). It has a dual 13MP rear camera with LED flash, f/2.2 aperture & Secondary 2MP camera with f/2.4 aperture. And for selfie, 8MP front-facing camera, f/2.2 aperture, 1.12μm pixel size has given. It has also Fingerprint sensor & face unlock. For power, it has a massive 4230mAh battery . The Infinix Hot 6 Pro comes with a 5.99" bezel-less display. Its camera has 13MP +2MP dual rear camera & a 5MP selfie camera. It processor comes with Snapdragon 425 chip. It has 2GB of RAM, 16GB internal storage , & with a massive 4000mAh battery. It also runs with the latest Android 8.1 Oreo Operating system. This smartphone comes with 13+2 MP dual camera at rear which allows you to shoot a better bokeh shot . And also you can get a 8MP single camera for selfie shooter. The smartphone runs with Android Oreo with Qualcomm Snapdragon 450. Its display comes with 5.99" HD+ and a 18:9 aspect ratio. It packs with a 3000mAh battery which can give you a full day backup. In this price segment, you will get 3GB RAM and 32GB internal storage. And also it has Face Unlock feature and a Fingerprint scanner at back which can give you a better security. Xiaomi Redmi 5 features a 5.7-inch display with HD+ resolution along with support for 18:9 aspect ratio. It is powered by Octa-Core Snapdragon 450 processor & along with Adreno 506 GPU. It comes with two variants i.e, 2GB & 3GB of RAM and 16GB & 32GB of internal storage respectively. It runs on Android 7.1.2 Nougat operating system with MIUI 9 on top of it . It is backed up by a 3200mAh battery. Stop stop ! Now this article completed . Hope, now you can able to select the best smartphone under 10000 rupees . Or, if you are satisfied with these, then publish a comment below, I will guide you to buy the best budget android smart phone available in India ( September) . Thank You !